Famous for its canals, magnificent architecture and extravagant annual carnival, Venice is a destination that will undoubtedly capture the imagination of every holidaymaker who visits. Opting for a camping holiday in Italy’s most alluring city gives you the chance to discover wonders like the Doge’s Palace and St. Mark’s Square at your own pace. Plus, our Venice campsites are ideal if you love water sports as they all have excellent pools and direct access to great beaches! 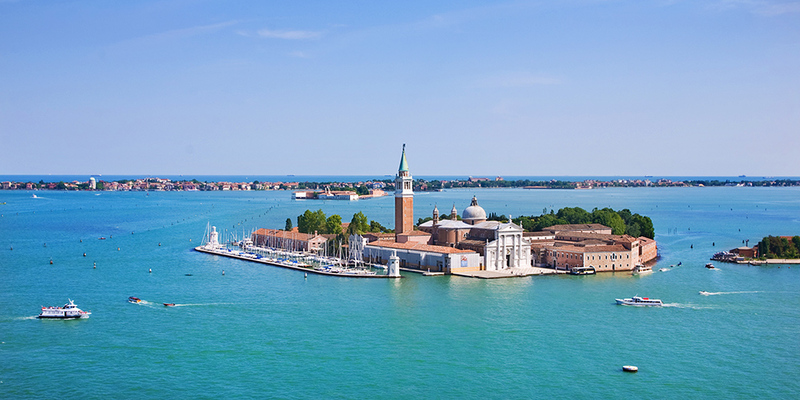 While the city of Venice itself is relatively compact and spread over nearly a hundred small islands, you’ll find that there’s lots to see on its outskirts, too. The coastal Cavallino peninsula south east of Venice is the place to go for waterparks and a taste of traditional Italian seaside culture at towns like Lido di Jesolo. To the south are the natural wetlands of the Parco Regionale Veneto del Delta del Po where you can bird watch, go for long hikes, hire boats and kayaks and then fall asleep under the stars. If you head west of Venice you’ll hit Verona, an equally as romantic city with links to doomed lovers Romeo and Juliet. Its close proximity to Lake Garda makes it perfect for those after an Italy holiday that offers the best of both worlds when it comes to nature and culture. And if you’re keen to get away from it all, the idyllic island of Grado is a sublime pick that sits close to Italy’s border with Slovenia. The main islands of the City of Canals are largely built up which is why you’ll have to go slightly further afield if you’re planning on camping in Venice. Canvas Holidays have a selection of superb campsites close by that are perfectly located for day trips. 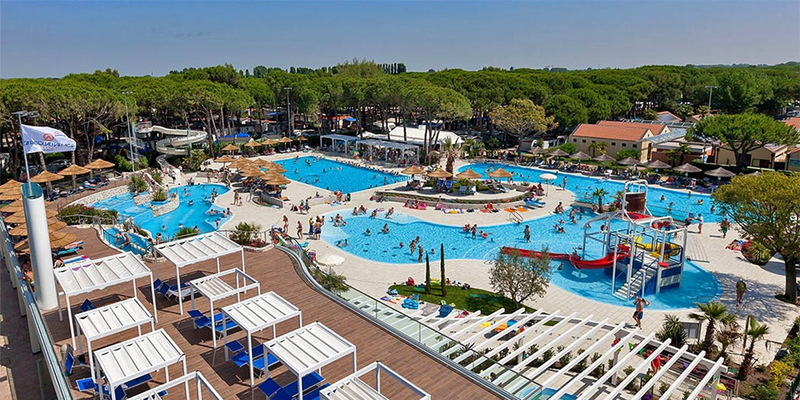 A handful of great campsites, like child-friendly Ca’Savio and Ca’Pasquali Village with its onsite waterpark, can be found along the Cavallino coastline, which boast beautiful sandy beaches, fun-filled waterparks and access to Venice by water taxi. Across the Venice Lagoon near Chioggia is where you’ll find the Grande Italia and Rosapineta campsites, both of which offer up ample activities and opportunities for R&R in the sun. For those happy to travel a bit further to Venice on a day trip, the Lido campsite is found on the shores of Lake Garda. 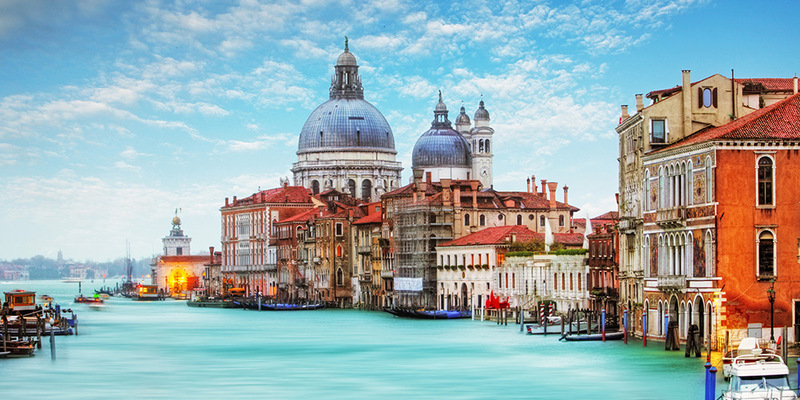 Venice needs no introduction as one of the most romantic cities in the world. Thanks to its many islands and proximity to other Italian towns, you’ll find no shortage of things to keep you occupied. City of Venice - Tour the Doge’s Palace and walk over the Bridge of Sighs and take a vaporetto (water bus) to see the Grand Canal. Visit the Murano glass-blowers or buy lace on the island of Burano. Avoid the queues at St Mark’s Basilica by booking your entry time online. Treviso - About half an hour north of Venice by car or train, Treviso is another town of romantic canals. Explore the medieval churches, meander through a warren of lanes, and visit the museum housed in an old monastery. Parc Zoo Punta Verde - A beautifully laid-out zoological garden with everything from lions to lynxes, gibbons to giraffes, and camels to capybaras. Lido di Jesolo - A lively and popular seaside town along a ten-mile beach of golden sand. Sun beds and parasols can be rented by the day and there is an ample supply of beachside bars selling ice cream and drinks. Aqualandia - With the highest water slide in the world and Europe’s highest fixed bungee jumping tower, Aqualandia is proud to be Italy’s number one water park. Ravenna - Ravenna’s basilicas and exquisite mosaics are a legacy of its Byzantine past. The city is also home to the popular Mirabilandia amusement park.